Buzzsumo is one of the powerful tools for content marketing.It helps you to do content research, finding key influencers in your industry and monitoring content performance. Like many other tools on the internet, It comes with a price tag(from $999/month for an Enterprise) and it has some shortcomings as well which will be covered later.If you are a free user you can display only 10 search results and you can do several few searches before hitting your daily limit. I will show you how to use the power of Google and Twitter and other completely free tools to do content research, finding key influencers and monitoring content performance and save all your collected data in excel. We all know Google is a powerful search engine and overtime it has built a huge database of almost all the sites in the entire internet. Engineers at Google always strive to perfect the Google search engine to return most relevant results to the end user for every keyword searched. That means we can use Google search results to analyze what page or URL content performs best for any keyword or topic we search for.We can roughly measure the performance of any page or URL content for a certain topic or keyword content by looking at the social media shares of the page or URL content and the number of backlinks that page as attracted. In order to do that first we need to get all the URLs of the Google search results for a certain keyword or topic into excel using Mozbar.Then we will run those URLs through sharedCount API to get the number of social shares each URL has received. By understanding which type of content received much shares can give an idea of what kind of content people prefers or interacts with for a certain topic or keyword. Mozbar is a browser toolbar used to make SEO easier.It can be installed on Firefox or Chrome browsers. We will use this tool to scrape URLs from Google search results into excel also to get the number of backlinks to a certain page. Download and install from the link above.Once installed and turned on your Google search results page will look similar to the one below. Normally when you input a keyword into Google search it will return 10 search results .But in order to dig deeper and collect more data we need more search results.Google can return up to 100 search results at once when you input the following URL query into your browser.Replace keyword with the one of your choice. This query will return 100 Google search results. 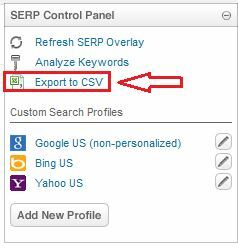 Now we need to export all the scraped URLs from Google search results page to Excel/CSV for later processing. You will end with an excel sheet which will look similar to the the one below. Our columns of interest are URL column and Total links to page column. A page which has attracted a lot of quality backlinks or many sites pointing to it means that page has valuable content.Even in the eyes of Google, pages which have attracted more quality backlinks will always rank higher than others. Identify all those page URLs with a lot of backlinks and go ahead and analyse what type of content those page URLs have and why that type of content has attracted many backlinks. In addition to the previous step you can go further and trackback those URLs in social bookmarking to find social URL analytics. To do so we will use another free tool called SharedCount.You will need to create a free user account to start using it. We will trackback the 100 URLs we collected earlier at once using the bulk upload feature of SharedCount and you will end up with the window similar to the one below. SharedCount allows you to save the social URLs analytics into excel or CSV for further analysis.I will go ahead and do that and sort the URLs by total shares. You can go further and combine the excel sheets we obtained in step 3 and step 4 and analyze the URLs.The whole process is powerful and completely free.You can go ahead vary the keyword as you wish. Ahrefs SEO toolbar has similar task like Mozbar which we cover earlier.It also helps to monitor key SEO metrics for individual pages, domains and inside SERPs such as backlinks but it comes with one additional feature that is it trackbacks URLs in social bookmarking and add social URL analytics inside Google search results page.It adds social analytics from Facebook,Google Plus and LinkedIn.Though it doesn’t add analytics from Twitter but at least it gives you a clear indication of how popular an URL is in Facebook,Google Plus and LinkedIn. You can see from the screenshot above we can get all the information about the page URL backlinks and social shares at one time. Twitter has a very nice and powerful search feature which allows you to search for topics or keywords,users and hashtags.You can also search for users based on certain topics or keywords.This way you can identify key influencers in your industry and trending topics based on hashtags.Twitter has a basic search and advanced search. The basic search looks like one below. 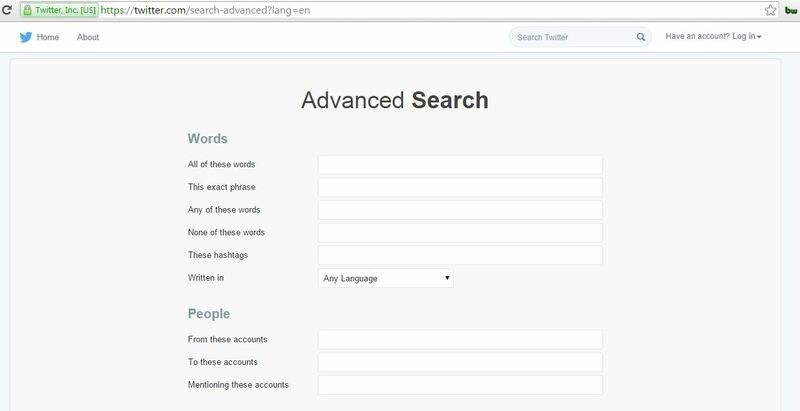 The advanced search looks like one below. 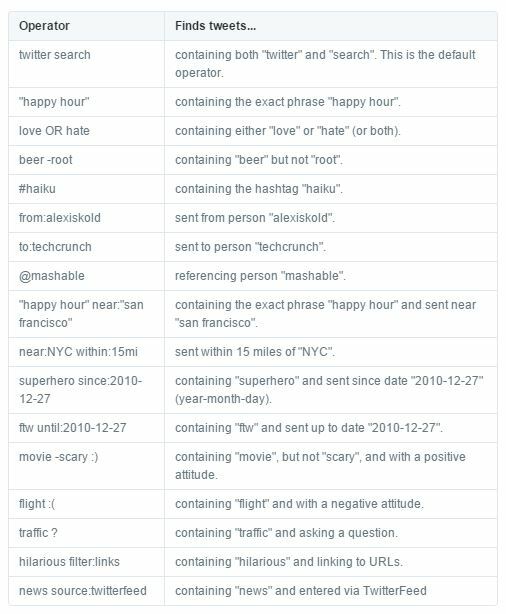 You can go ahead and play around with Twitter search and if you happen to find any difficult in using it you can refer to the Twitter search help guide. You can also search more efficiently using the following operators. You can get a lot of insights about popular content and key influencers in your industry by scraping data from popular websites or blogs in your industry.I already covered how to do it in my another blog post Web scraping for dummies tutorial .It also doesn’t involve any paid tool and no any programming skill is required. How to extract data from Facebook page.It also doesn’t involve any paid tool and no any programming skill is required. I have covered 5 Buzzsumo alternative free tools which are completely free to use.You can go ahead and choose which ones you prefer or you can use combination of both or combination of these tools and other paid tools.Decision is always based on what you want to accomplish. Let me know what you think or if you have any question about the Buzzsumo alternatives covered above leave me a comment below.